Camp Tonakela, India, Built by a Canadian Camp Director, Celebrates 75 years! Wallace Forgie travelled to India to serve as Secretary to the Madras chapter of the YMCA. After retiring in 1936, he remained in India and devoted his life to improving the lives of underprivileged children by building a camp. Two years after his retirement, Wallace Forgie set up Camp Tonakela. Apparently, Forgie chose the Canadian-Indian name meaning ‘NOT FOR SELF’ but it also sounds like “THANUKKU ILLA” in Tamil, which too means not for self. Forgie came to India as part of YMCA outreach but became an admirer of Indian culture and religion, which were much more integrated into people’s lives. He left the Y and began this mission on his own with support from camps in Canada. Forgie, founder of Ottawa YMCA Camp On-da-da-waks and with vast experience in outdoor camping, felt that city-folk needed to be encouraged to enjoy camping. In 1946, 15 acres of land was acquired in Avadi by the Camp Tonakela Association. The Camp’s objective was, in Forgie’s own words, “to provide a well-equipped camp site, conduct training in camping and in the leadership of every form of character building activities.” Forgie also had a vision of helping the nearby villagers enhance their skills in gardening, agriculture, handicrafts and cottage industry. Camp Tonakela was to act as the support centre for these villagers who were interested in developing their skills. 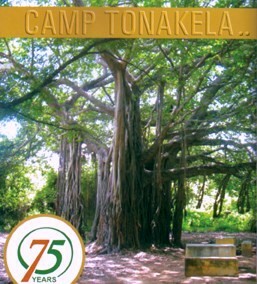 Now, in its 75th year, Camp Tonakela continues to enthrall nature lovers with its beauty and mystery. Camp Tonakela offers 15 acres of greenery with lots of trees and shrubs, a small pond and a covered swimming pool, all within its compound. There are 24 tents, adequate sanitation facilities and a kitchen with utensils for the campers to use. The headquarters for the International Camping Fellowship is located at Camp Tawingo in Canada. 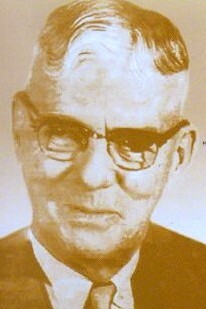 Camp Tawingo was founded by Jack Pearse, a former director of YMCA Camp On-da-da-waks . On-da-da-waks, which means ‘Men of the Woods’ in the Algonquin language, was recognized as the oldest in Ontario while it ran (until 1967). Camp Tawingo and several other camps in Canada sent annual donations to Camp Tonakela for many years. 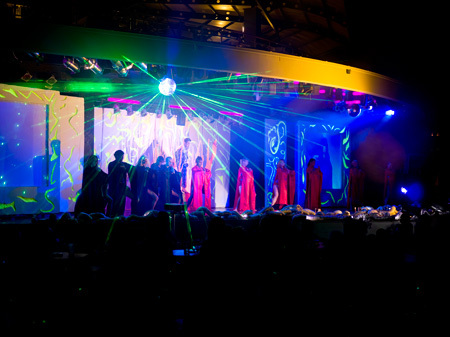 ICC Antalya, Turkey – The best-priced International Camping Congress ever! Friendly, welcoming local camp leaders, a warm and sunny climate, and a richly textured, exciting culture. A world class all-inclusive 5-star resort on the Mediterranean Sea. Pre and Post-Congress tours offer excellent additional travel at a great price. An amazing line-up of sessions and keynotes offered by the best and brightest in camping reaching into the fields of business, politics and sport. Children 12 and under are welcome at no extra charge. International flights from Canada to Istanbul, Turkey are approximately $1,000. Special travel agent advice and coordination is available. Looking for a fun and unique team-building event in Manitoba? Join the Manitoba Camping Association for the 1st Annual Great Manitoba Portage event in support of the Sunshine Fund. Qualico is the presenting sponsor and the MCA is thrilled to have their support. Proceeds of this event will support the Sunshine Fund to help give more underprivileged children the opportunity to experience camp. Each year kids are turned away due to a lack of funds which is a difficult message to give to families who really are in need of the assistance. The event is intended to be fun and unique, as such all activities incorporate a camp and canoe portage like flavour – three legged race challenges with weighted backpacks, land challenges involving water, portaging a canoe, and wilderness first aid will all be components of the race. The portage section will be the most challenging as it is a 1km loop over the pedestrian bridge at the Forks (Esplanade Riel). Volunteers are still needed so if you would like to help out, please let Liz Kovach (MCA Executive Director) know. Team members are required to register individually however are asked to provide their team name, registration is $50.00 per person. For all participants that raise $150.00, we will return your registration fee, or provide you with a tax receipt if you choose to donate it to the Sunshine Fund. Once the portage section is completed, the teams will be required to complete a Wilderness First Aid challenge that will bring them to the finish line as a group! Team that displays the most team spirit!